Today’s post is a recipe for a gluten free Apple and Almond Cake. You can never imagine how a cake will taste like without butter and flour. The cake is soft and moist with pureed apples and almond meal. Another plus point is adding lemon juice to the cake which gives it a lemony taste. What’s more, you don’t have to use a cake mixer, just use the food processor to do the mixing within minutes. Definitely a great keeper recipe for me! Peel, core and chop the apples to cubes. Put them in a saucepan with the lemon juice and sugar and bring the pan to a bubble over a medium heat. Cover the pan and cook over a low heat for about 10 minutes or until the apples are soft enough to mash with a fork (stirring occasionally to prevent apples bottom from burning)。 Leave to cool. Preheat the oven to 180 deg C; line a small loaf pan all sides up with parchment paper. Put the cooled cooked apples in the processor and blend smooth. Add eggs, almond meal, sugar and lemon juice and blend well. 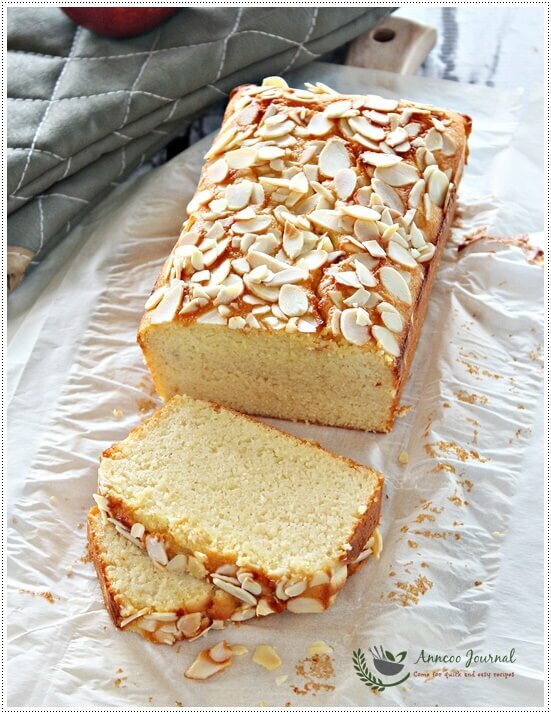 Pour and scrape, with a rubber spatula for ease, into the prepared loaf pan, sprinkle the flaked almonds on top, and bake for about 45 minutes or skewer inserted into cake comes out clean. Leave cake in pan for about 5 minutes and move to cool on wire rack. This cake is best served slightly warm, though still good cold. Is it possible to substitute blended apple fruits with apple jam? Also, can i substitute half of the almond meal with plain flour? Hi Phylicia, Adding apple fruits will make the cake more moist while apple jam is much sweeter. Sure you can add plain flour if you prefer but the texture will be slightly different. Anyway is your choice. May I check for 120g caster sugar, is it too sweet? Can it be reduced as I try not to put too much sugar. Hi Esther, I’ve already reduced the sugar from 275g to 120g .Of course you can reduce a little more sugar if you want but the texture will be different. This is a lovely gluten free almond cake. Love the moist and fine crumbs very much. thanks for sharing this to BRFE! Hi Vivian, Your cake is not fully baked yet. You can't judge the cake on the outer layer. 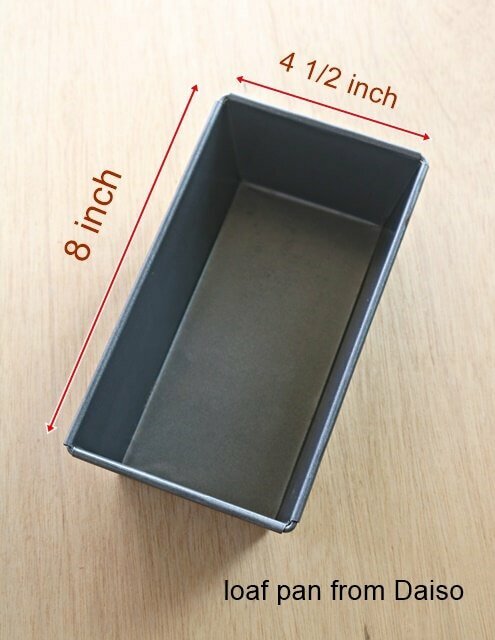 As oven temp varies, you need to test the cake with a skewer before removing the cake from the oven..
You can cover the cake with an aluminium foil if your cake turned too brown when baking. Hi Ann, I did test it both the sides are dry n the centre part are very moist. After overnight I try cutting it but falls apart. Actually I blended the raw almond not the grounded one from the shop. Does it make any difference? The taste was lovely anyway I would try again. Will cover it with aluminium foil next one as you said. Appreciate your help! Hi Vivan, Have you blended the almond nuts to fine powder form and what type of apples did you used? I mean the cake should be set when there are eggs in it. Please have a look at my FB fanpage. Someone baked this cake beautifully. Hi Ann sorry for the late reply. I did try to bake it again and did follow your info. Cheers it was perfect and nicely done! Million thanks and grateful to know your website. God bless? Now I can't wait to try these! 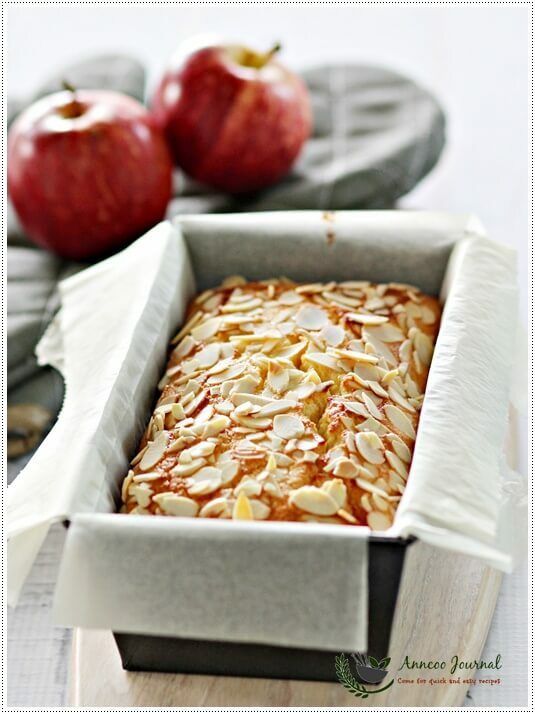 Wish I could taste it … This gluten free Apple and Almond Cake must be delicious with a hint of lemony taste. Looks so healthy yet mouthwatering. Defintely will bookmarked it. Thanks so sharing again! 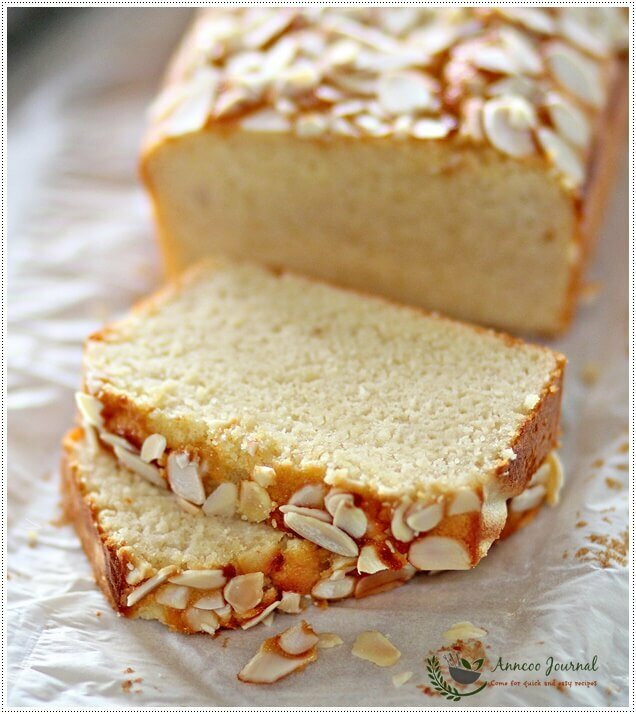 Interesting cake without flour and butter, looks nutty and delicious! I'm impressed with this cake too… It is gluten free and looks so good! Love your beautiful cake, Ann! The texture looks great too. wow Ann, the cake has such a fine and smooth crumb. Absolutely divine!